Championships and Tournaments Won: This includes any championship won during 2016, or any championship that was held when 2016 began. The prestige of the championship or tournament will be taken into account. One criteria I am not using, because I disagree with it, is ‘drawing power’. In the current wrestling landscape there are very few wrestlers that by themselves are draws (I could probably count them on one hand), usually it is more the benefit of a good storyline or a hot region that impacts the size of the crowd. While the larger Joshi promotions may have more wrestlers on the list due to the other criteria (visibility being a major one), the size of the crowds will not be taken in consideration. At times, ranking wrestlers can be very difficult as there are so many variables to take into consideration. This was not one of those times, as Io Shirai was well ahead of her competition in 2016. Not only do I think she is the most consistent in-ring wrestler in Joshi, but she was also one of the most popular and most successful. She held Stardom’s top title for the entire year, and held the promotion’s tag and trio titles for over half of the year. In total, she had 24 title matches in 2016, with the vast majority recorded and distributed so she wasn’t coasting through untelevised defenses. She had three of the top matches of the year (two vs. Iwatani, one vs. Meiko Satomura), and created the new top heel faction in December. There is a reason that Mark and I call her “Big Match Io” as she delivered all year long. An amazing year for an amazing wrestler. The only ranking that was easy was #1, as many wrestlers have a claim to the #2 spot. What set Nakajima apart was the number of titles she held during the year (three), how long she held the JWP Openweight Championship (244), and total number of title matches (15). Also, in-ring she was one of the top wrestlers of the year, with several high end matches. She left JWP at the end of 2016 as a contracted wrestler and became a Freelancer, however in early January 2017 she joined SEAdLINNNG, so 2017 will certainly be a very different year for the veteran. Everyone’s favorite lovable wrestler, Kairi gets extra points for her ability to connect with the crowd and make every match seem important. But Kairi did have a lot of big matches in 2016, as while she never reached Io’s level she was able to maintain a strong grip on being the #2 wrestler. She held both the Wonder of Stardom Championship and Artist of Stardom Championship for over half the year, plus won the tag team championship right as the year ended. With Yoko Bito, she also won the the Goddesses of Stardom Tag League. In a year where every wrestler had areas of growth, Kairi stood out as a wrestler that continually grew as the year progressed, and ended 2016 on a high note as she goes into 2017 with two titles. This may surprise some people, but keep in mind that in 2016 Kato had singles wins over Arisa Nakajima, AKINO, Mayumi Ozaki, Dynamite Kansai, and Rina Yamashita. She was also on TV an impressive 23 times, so she was very visible, plus she lead the main face faction in OZ Academy. The only knock on Kato is that she pretty much stayed in OZ Academy, but they kept her pretty busy. Holding the OZ Academy Openweight Championship for over half the year and beating the other big contenders in the promotion, she was the clear leader in 2016. Even though Pro Wrestling WAVE flies under the radar since they do not have a regular TV deal, Yamagata’s dominance in 2016 can not be ignored. 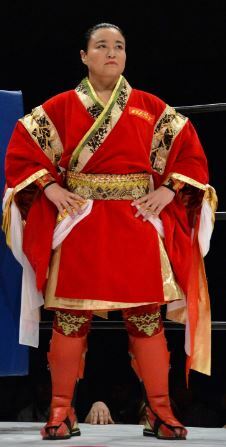 Yamagata had four successful defenses of the Regina Di WAVE Championship, including wins over Hikaru Shida and Ryo Mizunami. Yamagata was 16-0-1 in singles matches until her loss to Mizunami on December 29th, giving her one of the successful runs of any wrestler in 2016. If her success was in a bigger promotion with better opponents she’d be even higher on the list, but she still had a great year. Ice Ribbon was split during the year between a few different wrestlers on top, but overall Fujimoto had the best year of any wrestler in the promotion. 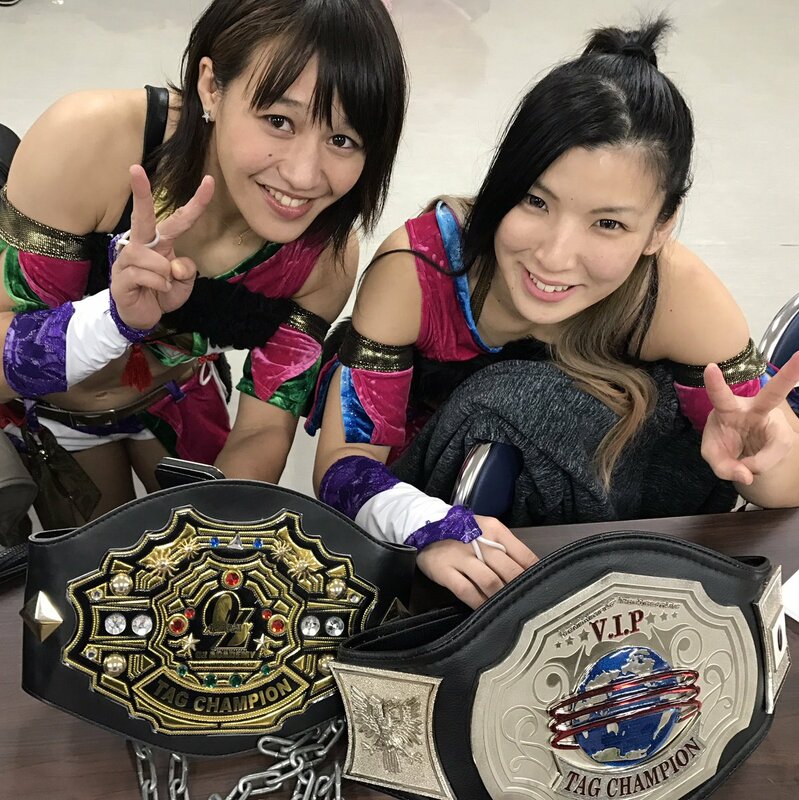 Besides holding the ICExInfinity Championship for the last third of the year, she also held the tag team titles in Ice Ribbon and in JWP with her “Best Friends” partner Arisa Nakajima. The one thing missing from Fujimoto’s year was a memorable victory over a top level wrestler, and since she lost the ICExInfinity Championship at the end of the year she faces an uphill battle going into 2017 to become the Ace of Ice Ribbon. Needless to say, Dynamite Kansai got special consideration as she enjoyed her last year as a professional wrestler. She didn’t win any titles but went on a hell of a Retirement Road, showing the popularity that she still had even so many years after her heyday. 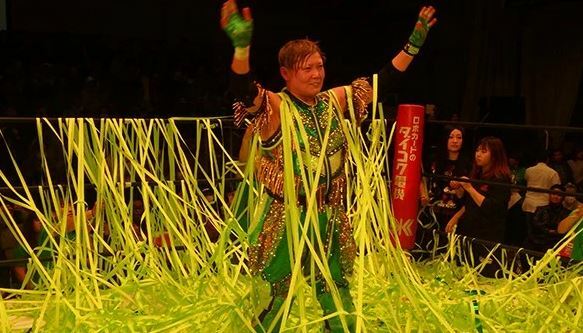 And she didn’t take it easy; Kansai had singles matches against some of the best wrestlers available, including AKINO, Hiroyo Matsumoto, Hikaru Shida, Aja Kong, Ayako Hamada, Meiko Satomura, and Mayumi Ozaki. She retired on December 11th in front of a packed house of adoring fans, and she went out on top. It is hard to really put into a ranking a year like Dynamite Kansai’s, but it definitely deserves to be recognized. Meiko Satomura is more a victim of wrestling in a smaller promotion that makes air less than anything else, as her few big televised victories in 2016 were second to none. 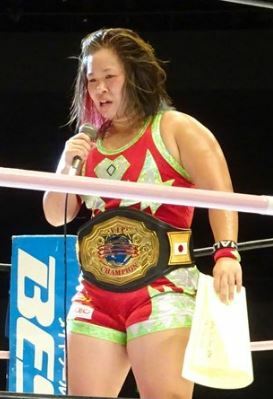 Meiko Satomura had singles wins in 2016 over Syuri, Io Shirai, Aja Kong, and Yoshiko and for much of the year she was the Sendai Girls’ World Champion. She did lose the title in November however, and the next month lost to Aja Kong for the #1 Contendership, ending the year of one of the best Joshi wrestlers on a bit of a downturn. Mayu Iwatani’s only crime in 2016 was being the third fiddle to Kairi Hojo and Io Shirai in Stardom. She did step up to win the Cinderella Tournament for the second time, but was never able to capture the World of Stardom Championship as instead she kept a death grip on the High Speed Championship. Which is arguably Stardom’s fifth most prestigious title as the promotion has a lot of titles. She was also a tag team and trio champions for much of the year. Mayu will get a chance in 2017 I am sure, she is still young, but she’ll need to overcome Io to cement herself as the ace of Stardom. Like Dynamite Kansai, Kyoko Kimura had her last full year as a wrestler in 2016. Unlike Kansai, she did have some title success along the way. 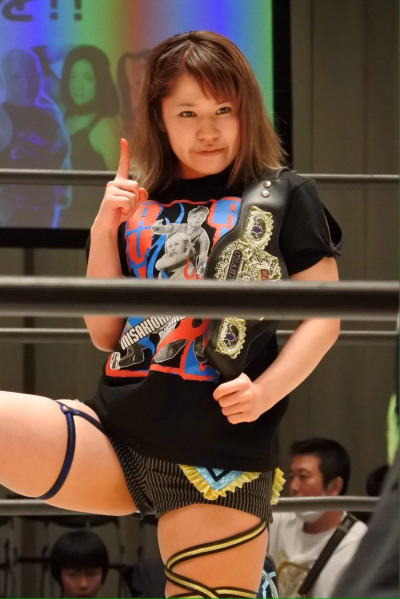 Kyoko held the JWP Openweight Championship (briefly), Goddesses of Stardom Championship, Artist of Stardom Championship, and the JWP Tag Team/Daily Sports Tag Team Championship in her final year. She didn’t really have any high end matches which is why she isn’t higher on the list, but still put in a quality body of work in her final year. She also blessed us with Hana Kimura, which is likely the greatest gift a retiring wrestler has ever given the Joshi community. 11. Makoto (REINA) – Makoto breaks the trend of me giving lots of extra consideration to the Ace of a promotion. Makoto was certainly the leader of REINA as she held their singles title for 282 days in 2016, but REINA so rarely makes TV that it would be hard to know. Since Makoto doesn’t go outside of REINA too often, she was by far the least visible singles champion in Joshi. Makoto is a solid wrestler and I enjoy her matches when I get to see her, hopefully in 2017 she will branch out a bit more so I’ll be able to watch more of her matches. 12. Risa Sera (Ice Ribbon) – Risa Sera held the ICExInfinity Championship for 105 days in 2016, and was in the main event of their biggest show of the year. That was the only title she held however, as she failed in both of her challenges for the tag team championship. Risa was the clear #2 in Ice Ribbon, however she did beat Tsukasa Fujimoto on 12/31/16 so she may be looking to make 2017 her year to shine. 13. Hiroyo Matsumoto (Freelancer) – Everyone’s favorite Freelancer, Hiroyo held both the Artist of Stardom Championship and the OZ Academy Championship in 2016, the latter of which she held for the last 49 days of the year. She also had a really fun Anniversary show, where she lost to Aja Kong, and reached the Finals of the Cinderella Tournament in Stardom. 14. Ryo Mizunami (Pro Wrestling WAVE) – Mizunami had a very similar year to Ohata, who I ranked a bit below her. But Mizunami not only held both the WAVE and Ice Ribbon Tag Team Championships with Ohata, she also won the Regina di WAVE Championship on December 29th which gave her a slight edge. She also won the Catch the WAVE Tournament in the spring, defeating Tsukasa Fujimoto in the Finals. 15. Syuri (Freelancer) – Syuri didn’t win any singles titles in 2016, but she did hold two tag team titles with Hikaru Shida and also is one of the best in-ring wrestlers in Joshi. With a legitimate MMA background she brings something a bit different to the table, making her matches unique and entertaining. It didn’t really factor into her rank, but she was also 3-0 in Pancrase in 2016. 16. Hanako Nakamori (JWP) – Hanako is fairly easily the least talented in-ring wrestler on this list, but she did hold the JWP Tag Team/Daily Sports Tag Team Championship for half the year and won the JWP Openweight Championship right as the year ended. She goes into 2017 as the leader of JWP, which should be interesting to watch. 17. Misaki Ohata (Pro Wrestling WAVE) – Ohata continued being a tag team specialist in 2016, holding tag team gold in both WAVE and Ice Ribbon. She was less successful in singles action however, lowering her in the rankings. But she is a very entertaining wrestler, and hopefully she’ll have more of a chance to shine next year. 18. Hikaru Shida (Freelancer) – With Syuri, Hikaru Shida won two tag titles in 2016 as they were an unstoppable force the last half of the year. Unfortunately, Hikaru suffered more losses than her friend Syuri and otherwise didn’t do a whole lot outside of her tag team success, besides being a fun wrestler to watch. 19. Chihiro Hashimoto (Sendai Girls’) – I had to tip my hat a bit to Hashimoto, since she had one of the most successful rookie+ years in Joshi history. 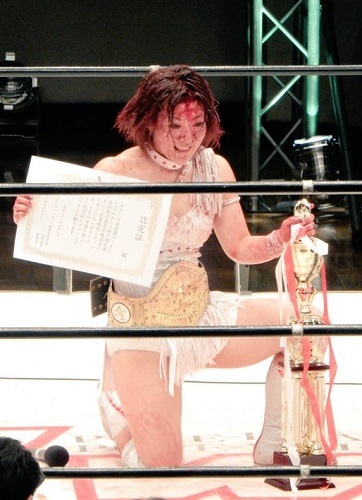 Just a year into her career, she defeated the great Meiko Satomura for the Sendai Girls’ World Championship in the main event of the promotion’s largest event of the year, and had one successful defense before the year ended. The sky is the limit for young Chihiro, and hopefully she’ll continue to grow. 20. Kagetsu (Freelancer) – Besides being a tag team and trio champion in Stardom, Kagetsu gets an extra nod for being in the lead ‘good guy’ faction in OZ Academy and also for being a really entertaining wrestler. 2017 looks to be a big year for Kagetsu, as she takes over as the leader of Oedo Tai and continues to have success in OZ Academy as well.